It is true even if you think you have a brown thumb. The Peace Lily (Spathiphyllum sp) is one of the easiest houseplants to grow. The Peace lily will grow in a bright sunny room away from the windows and direct sunlight or it will grow in a north or east facing room with minimal sunlight. 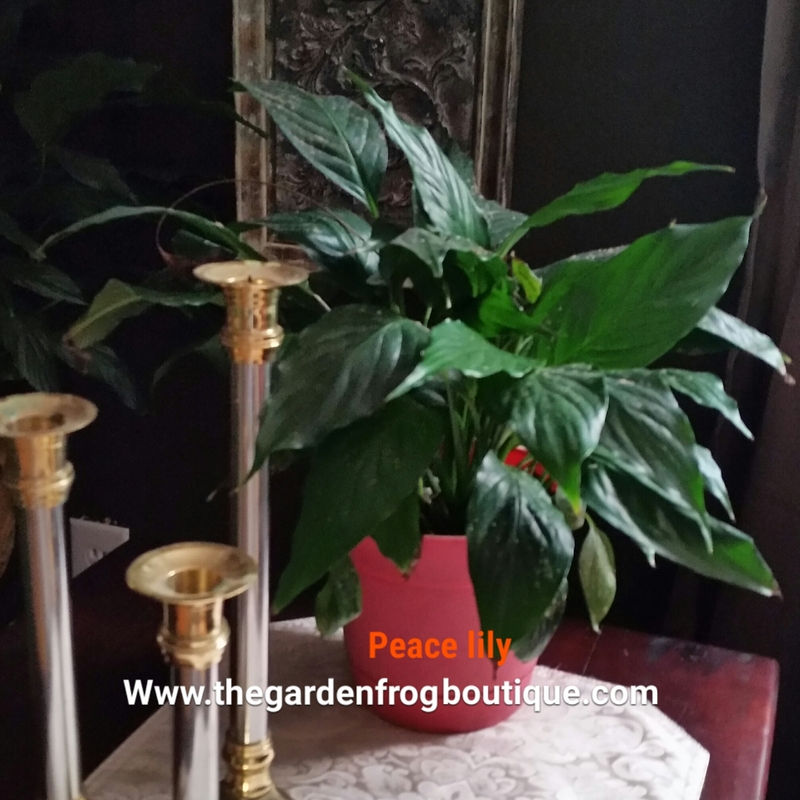 You can also grow the Peace lily under artificial lighting in a room without a window. This houseplant is truly a great plant to grow in an apartment, home, or office and it also helps clean the air! There are no special fertilizers or directions to grow this beautiful plant found in florist shops and grocery stores. It is a plant given to loved ones to celebrate a birth of a child, tell someone you wish them good health, or just to say “I am sorry for your loss”. It is a plant that can grow for years and will grace a room with its dark green leaves and white flowers. There are many varieties of the Peace Lily that range in height from a few inches up to 6 feet. The wonderful thing about a Peace Lily is that it will tell you when it is unhappy. It will wilt when it is dried out and the tips of the leaves will turn brown when it is stressed. The Peace lily does not like to dry out but yet it does not want to be in wet soil. Well drained moist more than dry soil with little or no fertilizer is best. There is no need to fertilize the Peace lily; and if you choose to fertilize, then do it during the spring and summer months with a very weak fertilizer. (Note: I use Alaskan Fish Fertilizer found at the home store in white bottle). 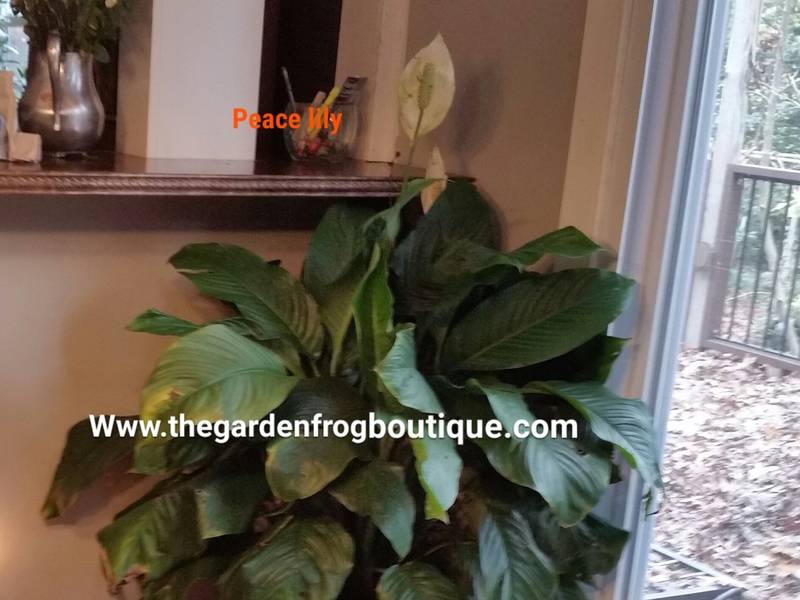 The Peace lily will bloom for you if it it in a bright room or outside in the shade. If it is in a darker room, it will not bloom and if the room is too dark it will start to turn yellow (which I have never had this happen even in an east facing room with minimal sunlight). 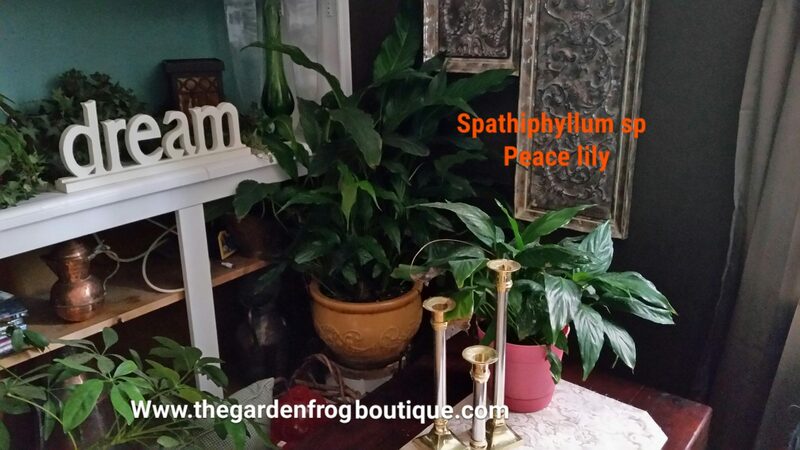 I have Peace lilies in several rooms in my home all with different degrees of sunlight. Do not use tap water on your Peace lily (or any other houseplant) because chlorinated and treated water is not good for plants (and people too). Let the tap water sit out for a day so the chemicals can dissapate. You can also grow the Peace lily in a vase with water just covering its roots (only). You can even use it in a small necked vase large enough to hold a Beta fish. if the soil is wet and the plant is drooping, you need to check to make sure their is adequate drainage in the pot. Let the soil dry out and water sparingly until you can repot the plant. If the plant is small and it just will not stop drooping, I suggest taking it out of the pot and removing the dirt to check the roots. Cut away any mushy roots and clean up any dead leaves and place in a vase with filtered/rain water just covering the roots. You can re-root the plant this way until spring when you can repot it in fresh soil and a good pot. if the soil is dry and the plant is wilting, water it. Do not over water but for a small pot requires about 1/4 cup and a large 10″ pot may require up to a cup of water. 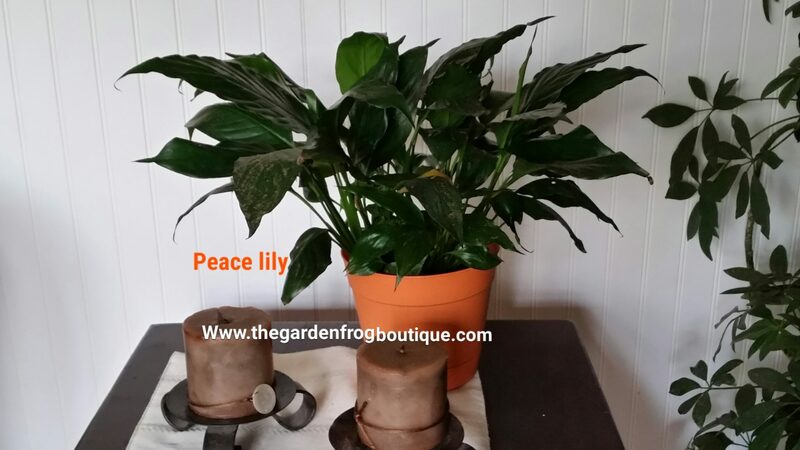 I also want to add that Peace lilies do not require large pots. They like to be somewhat rootbound and it is not necessary to repot any houseplant in a pot that is more than an inch or two larger than the original pot. I use potting soil that is not dried out in the bag and does not have any extra fertilizers in it. I always make sure there are drain holes and a tray underneath to catch runoff. 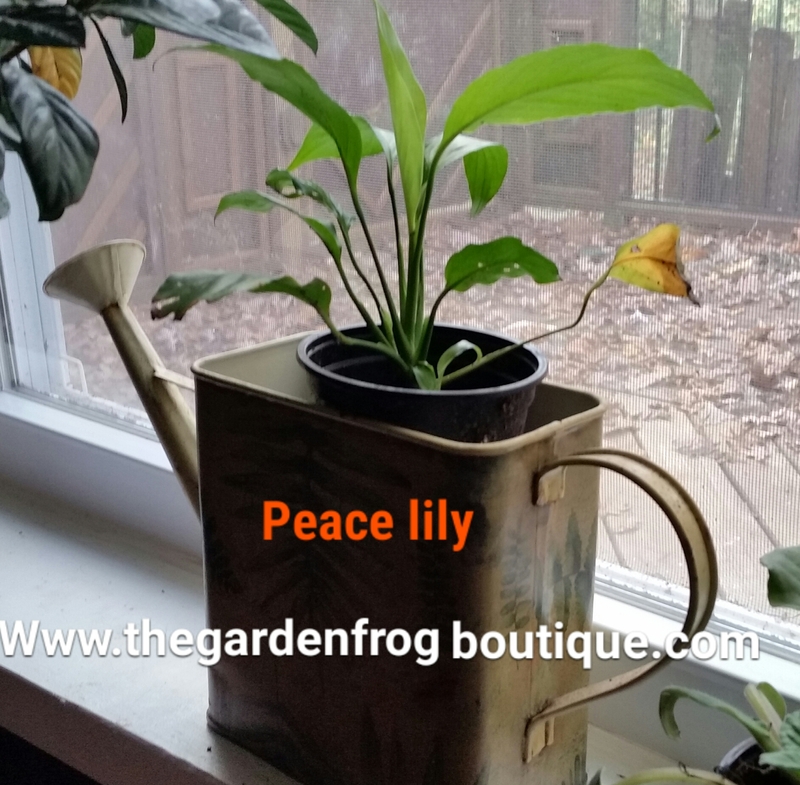 Peace lilies are one of the easiest plants to revive off the markdown racks at the store too. If the plant is wilted and pathetic but still is green and the roots are still whitish in color, buy it. Take it home and put the pot in a deep dish or pie pan and water filling up the pan or dish under the pot. Wait and watch as the plant comes back to life. Let the plant sit for about an hour or so and then drain the excess water. I would not repot the plant for a couple weeks to avoid any further shock and just keep the plant watered and well drained and it will thrive! I hope I have convinced you to add this popular and easy to find houseplant in your home or office. Clean air and beautiful green leaves to make any space a bit more relaxing and healthy.